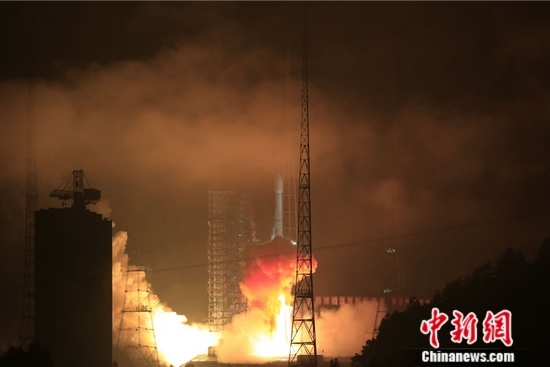 XICHANG, Sichuan - China launched a new communication satellite "APSTAR-6C" at 12:06 am Friday at the southwestern Xichang Satellite Launch Center. The satellite, developed by the China Academy of Space Technology (CAST), was sent into orbit by the Long March-3B carrier rocket. This was the 273rd mission of the Long March rocket series. The user of the satellite is Hong Kong-based APT Satellite Co., Ltd. The satellite will provide TV transmission, communication, Internet and multimedia services to customers across the Asia-Pacific region. It is the second communication satellite developed by CAST for APT Satellite, following the APSTAR-9, printed wristbandswhich went into orbit on Oct. 17, 2015. The APSTAR-6C, based on China's DFH-4 satellite platform, will replace APT Satellite's sin-orbit APSTAR-6 satellite. China has developed 15 communication satellites based on the DFH-4 satellite platform for civilian and commercial use, according to CAST. The continued cooperation between CAST and APT Satellite showed that China's communication satellite has won recognition among mainstream international satellite operators, said CAST president and CEO Zhang Hongtai. "We value the international space market, and will provide our customers with first-class products and services," Zhang said.